A community station for and by the young people of Torbay. It’s a fun way of connecting, sharing music, ideas, skills and making our communities better for everyone. Daisy and Ayla presenting a acting based show for people of all ages, with quizzes, vox pops and more! Artist Detox is a monthly Music Podcast.Each Detox features a different artist,including there music and life history.Artist Detox is the audio biography for the masses. 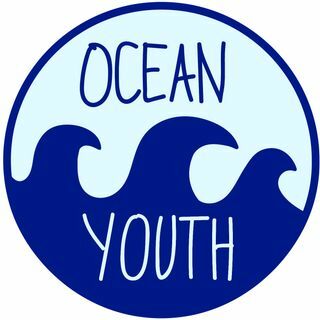 Cranbrook Education Campus students are working with Ocean Youth Radio to explore how young people's voices can help to keep the whole community well. Please do listen in and interact with our live show to help us to show how it could work so we can do many more in the future. Dan's dreamy songs are airing live every month, with quizzes all about our dreams and songs from artists like Michael Jackson, Madness, and Edwin Star! My shows are about music, music and more music but also a bit of good old laughter too. From rock to indie, this is DJDBeats. Listen to all our presenters and shows combined for our FM Broadcast on 87.9FM across Torbay on 26th, 27th and 28th August 2015. Girls Rule is an amazing radio show for all ages and genders. Were here to bring you; comedy sketches, music, shoutouts and fun quizzes. Be sure to tune in to join in every moth! Join me on Thursdays at 4.15 until 5 for local updates, music and random stuff. Ocean Asks? brings young voices into the community and helps these voices to shape the future. Over a year on Torbay's airwaves with four years worth of experience, the lovely trio of Chloe, Phoebe and Holly discuss the precious moments life throws at us. Meet Picnic! In the Parkfield - where Indie-Rock collides with our weekly affairs. DJ Mazza, Lil Prawnie, and Strangy boi are the freshest new DJ's in urban music, drum and base, live remixes and more, all in an epic monthly show. Some of the best music you can mix! Our monthly show with music, chat and loads of fun! We have popular music, quizzes, challenges, and of course comedy sketches. With humour and chat thought our show as well! Tune in for a good laugh every month! Join Torbay's young people on live panel shows discussing issues affecting them.